The Tramway is an 8,500 foot climb in a small, often swinging, car. The propulsion is delivered by thick cables strung over a series of isolated towers. Trust me–I’m describing Helaine’s ultimate nightmare scenario! “Why don’t you go?” Helaine asked. She was suggesting I ride the Palm Springs Aerial Tramway on our last day in town. It was a tough choice because I knew she wouldn’t go. Helaine has a real fear of heights. Mount San Jacinto is an amazing camera platform&#185 and, of course, that was the appeal for me. The Coachella Valley spreads out below with distant mountains marking its eastern edge. The day was clear and mild. I threw on my jacket knowing the temperature would drop quickly with altitude. Even from the valley floor it was easy to see there was snow at the summit. The Tramway is a short drive from Downtown Palm Springs. After turning off the main road you climb 2,500 feet before hitting the visitor center. Signs warn drivers to turn off their air conditioning lest they overtax and overheat their car! The ride to the top was uneventful. The cable car makes two full rotations as it ascends. That assures everyone a good view. I wish there were more open windows. Shooting through the glass is not the way to get good photos. It was cool at the top, probably in the 40&#176s. The snow on the ground was unlike any we get here in Connecticut. It was ‘dry’ and compressed. Snow on this summit tends not to melt but sublimates away into the very dry air. There were snowy areas and clears areas, but minimal mud and no puddles! My day at the top (December 4, 2009) was nearly dead calm. A storm moving through yesterday brought the temperature down to 14.8&#176 with wind gusts to 81 mph! I timed it right. There’s a patio which rings the Mountain Station. From there I shot a few dozen photos of the valley below. Then I headed around back. West of the station are trails running through high mountain valleys. I picked the seemingly easy Nature Trail and began to walk. The trail itself is easy–just 3/4 of a mile through mainly flat ground. Getting to and from the trail is a little more problematic down a long, winding, steep ramp. Added to the weight of my camera gear and steepness of the ramp is the altitude. 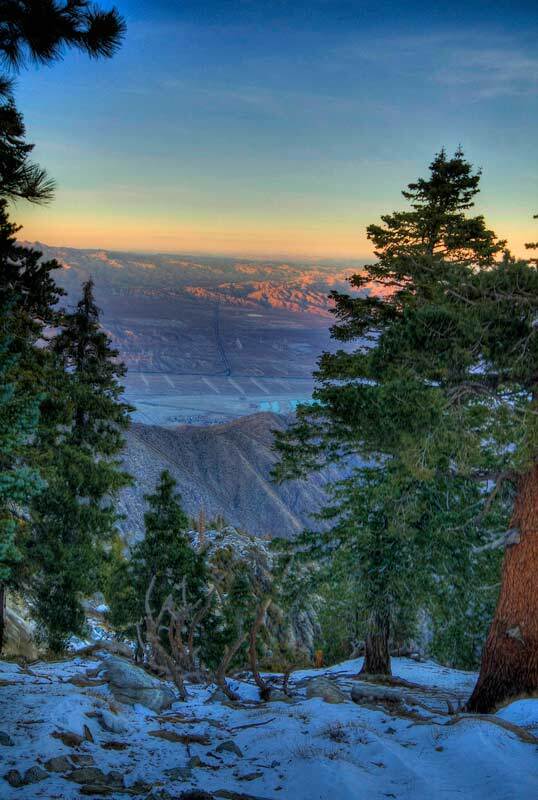 Up on Mount San Jacinto each breath of air provides nearly 1/3 less oxygen than at sea level! This is really thin air. You feel it. The trail itself was really pretty, but I was alone and missed Helaine. Is that too sentimental? I can’t help myself–it’s true. I know. This wasn’t the place for her. I still wish there was some way we could have shared the experience. This was real wilderness. My cellphone showed “No Service.” That’s the 21st Century way of proving you’re removed from society. It was a different story at the Mountain Station where I got email, answered phone calls and sent text messages. There’s something wrong about that, isn’t there? I should have left the phone in the car, but I’m too weak. I need my tech fix. I killed a little time hoping for some good nighttime shots with the lights of Palm Springs in view. That was a photographic failure. I never did get a really good, sharp shot after the Sun went down. I caught the 5:00 PM trip to the bottom and was back at the hotel 10 minutes later. It was an afternoon well spent. 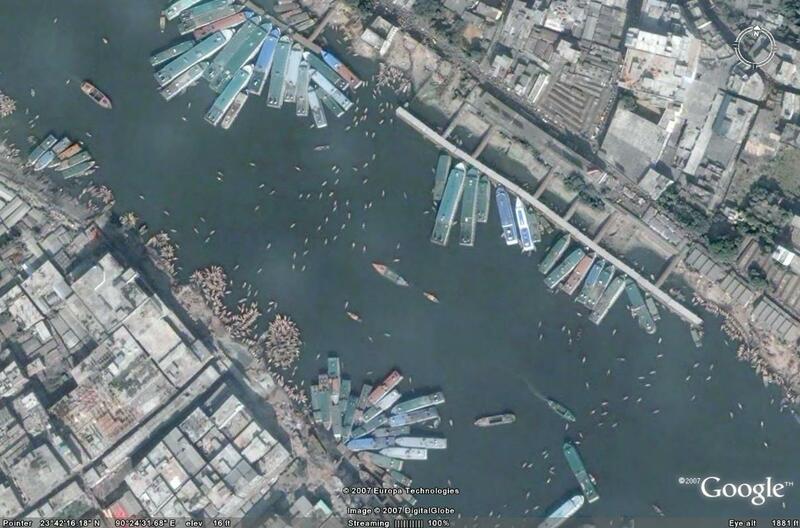 &#185 – Here, as with most of the entries on this blog, clicking a photo will get you a larger version with more detail. That connection is what I hope for. It’s my sign of success. I spoke at West Haven High School today. It was a class of meteorology students. I went as a favor to someone who’d been nice to me. West Haven High gets a bad rap. I can’t tell you whether that’s deserved or not, but I can safely say I saw no evidence of anything remotely seeming problematic today. It is a school in a town with many working poor. The class I was in was fairly evenly divided black and white with a few Hispanics students. I walked in fully expecting a metal detector on my way in. None. There was a non-uniformed adult on a raised kiosk watching the door and the hallway. Kids were walking around between periods as high school kids do. The vibe was nice. The class I spoke at was a meteorology science course. I’m not sure how deep they can get in high school, but they were attentive as I delivered my presentation. That’s more than half the battle–having students pay attention. I don’t know how teachers do it day-after-day without becoming numbed to it all. As I began I realized none of them were alive when Hurricane Gloria, a crucial first element in my talk, struck the Connecticut shoreline in 1985. Gloria is now ancient history. I’d included my “Hippie Geoff” photo as an ice breaker. Nothing. No reaction. I was surprised and, at that moment worried about how things would progress. As I went through my presentation I looked up to see them looking back. That connection is what I hope for. It’s my sign of success. You have no idea how many schools I’ve been to where that back-and-forth response was missing. That’s sad. The session ended with a round of questions–some pretty good ones. I left happy. Without sounding too sappy, I really did get a lot out of today–possibly more than the students got. Ike is especially scary now since it looks like ‘he’ will be heading into the Gulf of Mexico. It’s the watery equivalent of a box canyon with no exit but landfall. Bob Hart’s site posts the GFDL–a computer model run optimized for and ‘bogused’ with hurricane and tropical storm data. Ive been keeping an eye on Huricane Ike. Ike is especially scary now since it looks like ‘he’ will be heading into the Gulf of Mexico. 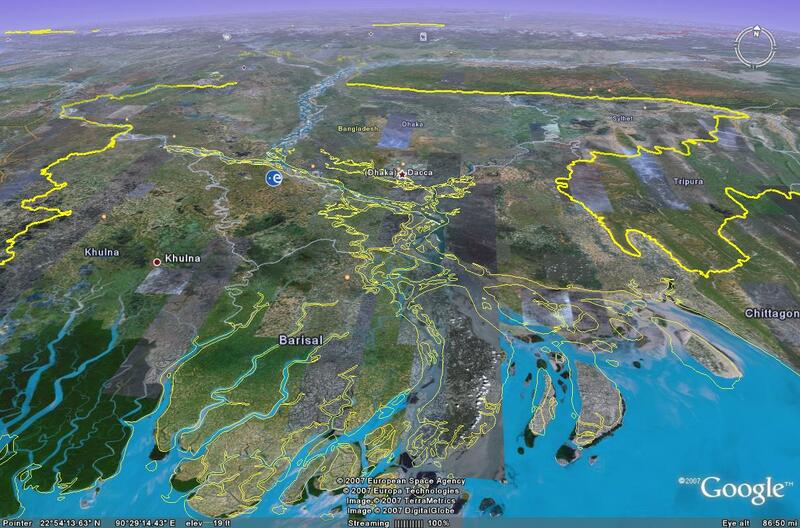 It’s the watery equivalent of a box canyon with no exit but landfall. There are a few places with sparse population and of course that’s where you hope these storms go. Right now, too early to be dependably accurate, the GFDL brings Hurricane Ike to nearly the same landfall that Hurricane Gustav made! I just couldn’t imagine having to deal with two strong hurricanes in the same season. I guess you do what you have to do… still it’s got to make you question where you’ve chosen to live. We’re at the peak of the season now, give or take a few days. Hopefully the activity will begin to taper off. These storms are fascinating to forecast, watch and track, but I’m no fool, there are lives at stake. At least 55 people have died and 2.5 million have been displaced as the river changed its course. Thousands more people are being evacuated to higher ground to escape the rising floodwaters. I was just scouting around the web looking for as much on Hurricane Gustav as I could find. From the official Cuban government weather site I was directed to the World Meteorological Organization’s site. Usually there’s little of interest from the WMO–a top-heavy international bureaucracy with nearly no operational responsibility. That’s staggering. 2.5 million people displaced. I can’t imagine what it must be like there. Why haven’t I heard or read about this? Are American’s really that isolated from the rest of the world? Am I that isolated? I remember Charley blossomed very quickly before landfall. Tropical Storm Fay’s track is starting to resemble Hurricane Charley’s. Charley hit Florida’s west coast four years ago this past week. Certainly, Charley took a more southerly path getting there, avoiding Hispanola and the interaction Fay is having with Cuba’s landmass. From here on out the forecast tracks are very similar. I remember Charley blossomed very quickly just before landfall. Charley rapidly intensified, strengthening from a 110 mph (180 km/h) hurricane with a minimum central barometric pressure of 965 mbar (hPa; 28.50 inHg) to a 145 mph (230 km/h) hurricane with a pressure of 941 mbar (hPa; 27.49 inHg) in just 6 hours. The storm continued to strengthen as it turned more to the northeast, and made landfall near the island of Cayo Costa, Florida as a 150 mph (240 km/h) Category 4 hurricane at approximately 3:45 p.m. EDT (1945 UTC) on the 13th. An hour later, the hurricane struck Punta Gorda as a 145 mph (230 km/h) storm. However, the eye had shrunk before landfall, limiting the most powerful winds to an area of 6 nautical miles (11 km) of the center. Fay will cross Cuba a weaker storm. Cuba is quite mountainous (ask Fidel), the hurricane’s mortal enemy. However, the Gulf is very warm this time of year–explosively warm. Wednesday was a strange weather day. Actually, since weather doesn’t necessarily follow a 24 hour cycle, this day isn’t over. I knew something was wrong when I was awakened by thunder around 9:00 this morning. Thunderstorms in Connecticut favor the late afternoon and early evening hours. Morning storms are rare. A bolt of lightning lives its life in an instant. So too should be the thunder. Not today. A few bolts produced a noise which undulated and rumbled for at least ten seconds. These were throaty, deep noises that rattled the house. There was no clap nor any high frequency sound. It was as if the sky was groaning. Thunderstorms produce larger drops than stratiform rain. Today’s rain pounded down with the drops exploding as they hit a hard surface. There was nothing gentle about this storm. By early afternoon this first batch of rain had moved away, but the air was infused with moisture. A stroll outside was like walking in a sauna. Dew points were in the 70&#176s. Tonight storms began to reappear. While heavy rains drenched areas to our west, new cells developed overhead. I’d look at the radar and see a little patch of green. A few minutes later the area had exploded into the hot colors that correspond to downpours. The updrafts in these clouds must have been crazy–like an out-of-control elevator shooting to the roof! A Severe Thunderstorm Watch went up between 2-3:00 PM. Though originally set to expire at 10:00 PM, it’s now on until 5:00 AM Thursday. Here, that’s unheard of. The worst is yet to come. There will be more heavy rain–inches more. I expect flooding on Thursday in vulnerable places. It’s tough to say exactly where. July has been dry in Connecticut. I’ve heard many people asking for relief. I don’t think anyone wanted it this way. Sunday night was the scheduled holiday fireworks in East Haven. For this display, a barge full of explosives is towed out into Long Island Sound. The show can be seen from any point along the length of East Haven’s shoreline. That’s where Dr. Mel Goldstein, my partner in the weather department, lives with his wife Arlene. This is where the fireworks should be watched from. I appreciate their invitation. They have a beautiful home–the kind you get after your children are grown and elsewhere. As far as I’m concerned, the house is in move-in condition. I like their taste. The show began around 9:15 PM. It wasn’t perfect weather for a sky show. The state had been threatened with strong storms all day and into the night. Visibility was reduced in fog and haze. The cloud ceiling was low. The deck was wet from some earlier showers. The tide was in and directly below the railing. I brought my tripod and an assortment of lenses. I am lost with fireworks. I really don’t know how to set the camera. Since it’s fixed and stable, I can chose as long or short a shutter speed as I please. Too many options! I think the answer is a reasonably high f-stop, f11 as an example and around one second exposure at ISO 200. Maybe you have a better setting. I’m open to anything. Longer shutter times bring more light and more of the frame filled. But longer exposures also make the fireworks look less sharp. I like some of these, but I’ve seen much better. I need to learn the techniques used to get those shots. First Named Storm – So? I’ll answer his rhetorical question: Of course it wouldn’t have been named. …TROPICAL STORM ARTHUR…FIRST STORM OF THE 2008 ATLANTIC SEASON…QUICKLY FORMS NEAR THE COAST OF BELIZE…ALREADY MOVING INLAND. Tropical Storm Arthur formed yesterday, and has deteriorated enough to now be ‘just’ a Tropical Depression. It’s not all that unusual to have a named storm before the official opening of the hurricane season. I don’t draw any inference from that. However, with “A” given to a minimal storm, the season takes one quick step toward being more active than usual. That brings up a great point made by Jeff Masters at Weather Underground. Would Arthur have been named 30 years ago? Arthur is one of those weak, short-lived tropical storms that may not have been recognized as a named storm thirty or more years ago. Arthur was named primarily based on measurements from a buoy that didn’t exist 30 years ago, and from measurements from the QuikSCAT satellite, which didn’t exist until 1999. There was one ship report that was used, though, and ship reports were heavily relied upon in the old days to name tropical storms. This is something many meteorologists point out to those who worry about an evolving atmosphere. As weather observations become more sophisticated, historical averages become that much less meaningful. Author Geoff FoxPosted on June 1, 2008 Categories UncategorizedTags Belize, date, effect, Jeff Masters, location, Miami, National Hurricane Center, Would Arthur1 Comment on First Named Storm – So? Drudge has linked to an article from a Central Florida TV station that’s interesting and worrisome. I’m a non-believer in seasonal forecasts because I think, by and large, they’re awful – aka, inaccurate. By the way, the same goes for all the Global Warming hype. Viewer: I’m just wondering what the outlook is for the 2007-08 winter season. A lot of snow, not much but colder. I heard we arent’ going to get much snow. Please advise. Thanks. Geoff: I don’t believe in them. We don’t currently have the skill. Most long range forecasts end in embarrassment for the forecaster. Should there be a monetary downside to a bad prediction? Neither Gray nor anyone other forecaster claims divine insight and 100% accuracy. He used the best techniques known to science. More importantly, I don’t think anyone expects 100% accuracy. I tend to think Harris Rosen’s rhetoric is bluster and no more… but who knows? Maybe he does have a case. I’m sure there’s a lawyer willing to help him. But why go after Dr. Gray? There are other seasonal hurricane forecasts from forecasters with deeper pockets. AccuWeather comes to mind, though there are probably others. I’ve got a dollar that says the attorney won’t forecast the outcome nor guarantee it. Author Geoff FoxPosted on November 30, 2007 Categories UncategorizedTags attorney, Chris Trenkmann, Colorado State University, date, effect, Florida, Harris Rosen, John Smith, lawyer, local meteorologist, location, Neither Gray, Orlando, William Gray3 Comments on Are Forecasters Liable?